Telemundo Deportes released details this week of its 2018 FIFA World Cup coverage plans, including 500 hours of World Cup programming on Telemundo and Universo, along with 1,000 hours of original content on the network’s digital platforms. The World Cup, held from June 14 – July 15, 2018 in Russia, will feature 64 games with 56 airing on Telemundo and eight on Universo. Highlights of the coverage include a dedicated primetime show for the World Cup, the first time a U.S. broadcaster has done such as thing, along with a virtual reality app for the tournament with a suite of feeds and interactive opportunities. VR content will be produced and available in an app, including 2D feeds, 180° views, 360° short-form video content and near-live multi-angle clips. On the production side, Telemundo will have production sites across Russia, including the main studio in Moscow’s Red Square for pre, post and halftime shows. 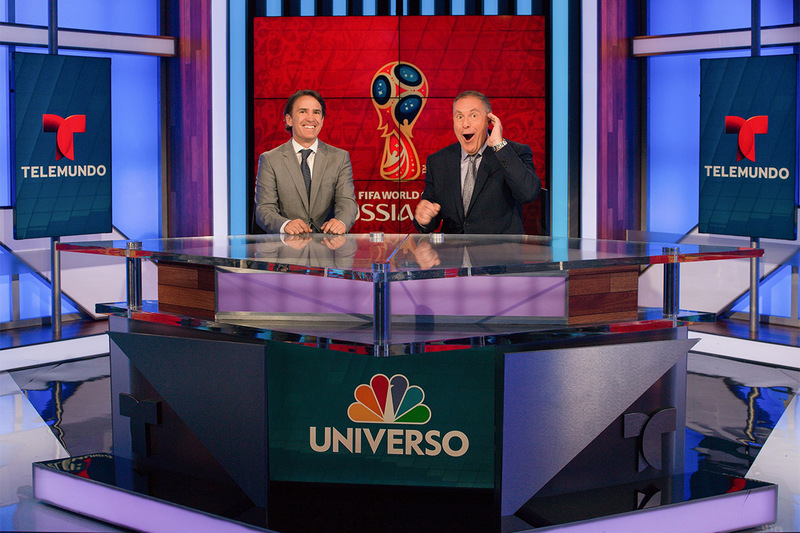 Auxillary locations in the World Cup International Broadcast Center will also be used, along with NBCUniversal’s Miami facility. The entire play-by-play commentators and analysts will also travel to Russia for the games, calling the majority at the actual venues. Telemundo Deportes’ on-air talent will be led by Andres Cantor with Sammy Sadovnik, Miguel Gurwitz, Ana Jurka, Carlos Hermosillo, Karim Mendiburu, Copan Alvarez and Manuel Sol, among others.